Small houses can be cozy. But sometimes the walls can feel like they’re closing in. That’s why you’ve got to do everything you can to stay sane in your home. 1. Add a fold-up table. 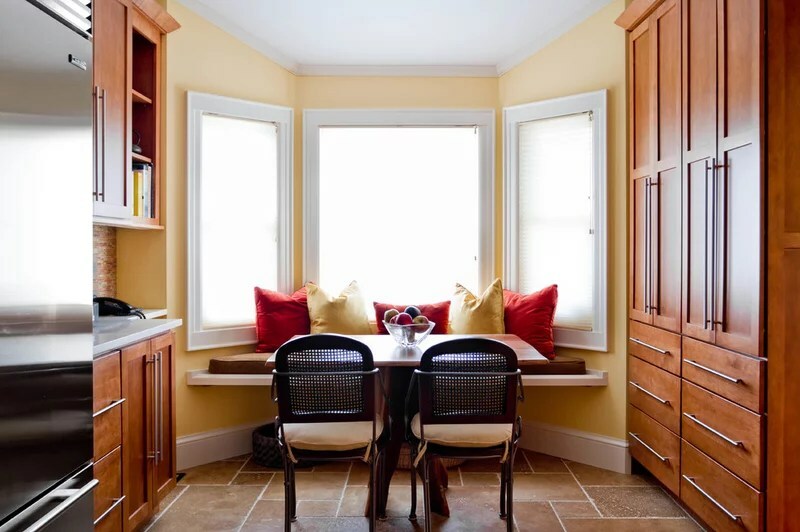 This dining table folds onto the wall while chairs are hung above, making this otherwise cramped kitchen feel more spacious. 2. 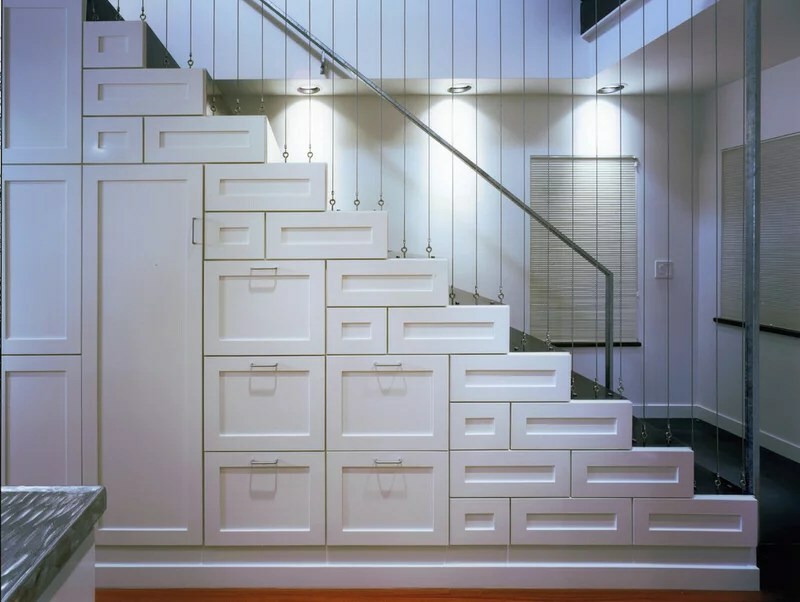 Add storage under the stairs. Drawers, shelves, cabinets — don’t let the space under your stairs go to waste. 3. Have a king-size bed. It might sound counterintuitive, but large, relaxing pieces — like a big bed, sofa or bathtub — can make you feel like you have more space. Try splurging on the pieces that help you relax the most. 4. Install a skylight. 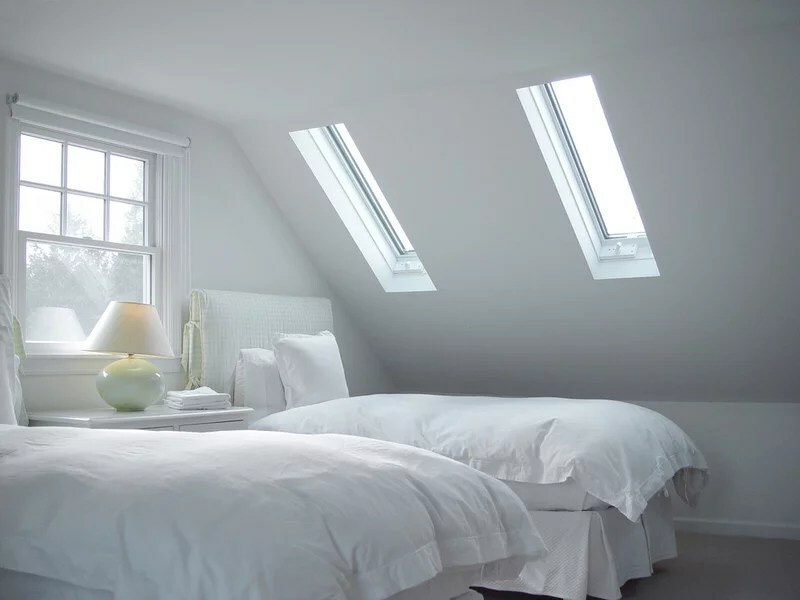 Imagine how stuffy this room might feel without the skylights. 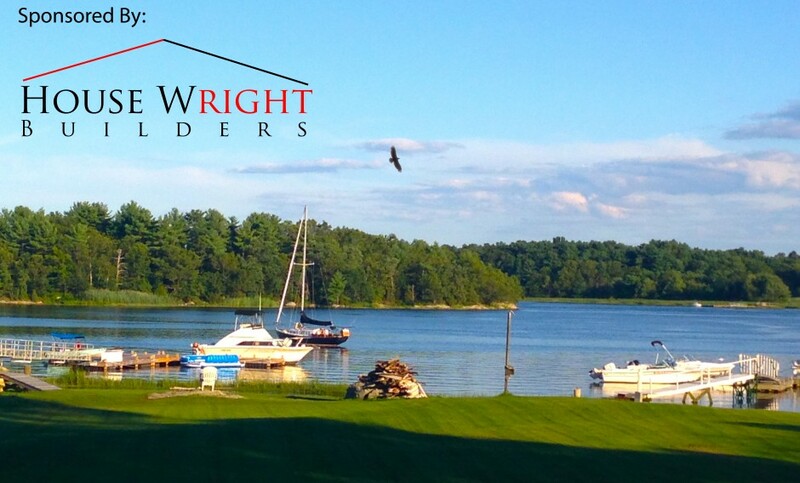 More light always gives the feeling of more space, as does providing views to the outdoors. 5. Punch out a wall. Got room to expand a bit? Try extending a wall to gain more space. A little can go a long way. Or maybe you can gobble up unused space, like from that breezeway that connects to the garage. 6. Include reflection. 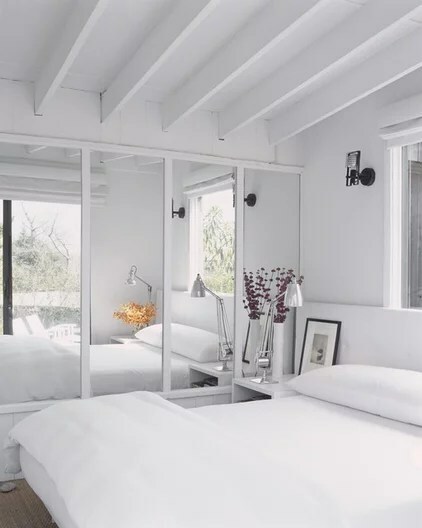 Sliding mirror doors and reflective paint help toss light around and make rooms feel more expansive. 7. Borrow stuff from your neighbors. 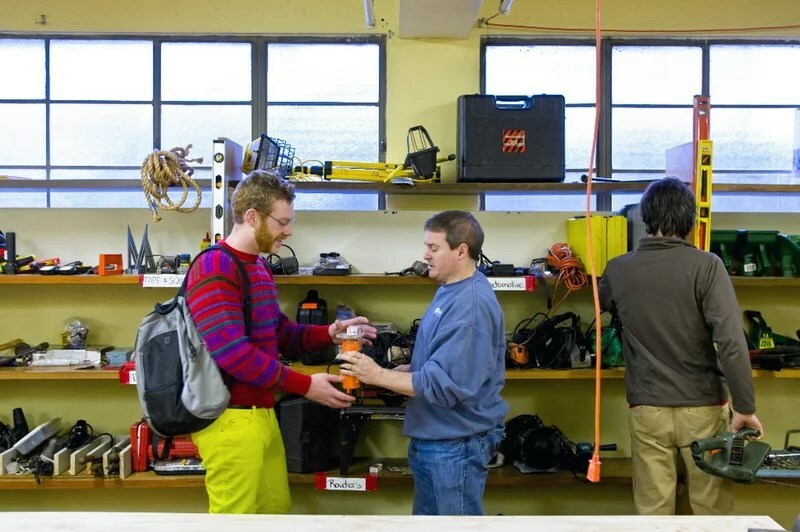 Renting tools and other supplies from hardware stores is a good start, but some communities have opened lending libraries for everything from blenders to leaf blowers. Imagine the space you could save if you got rid of the things you use only sporadically. 8. Bring in plants. 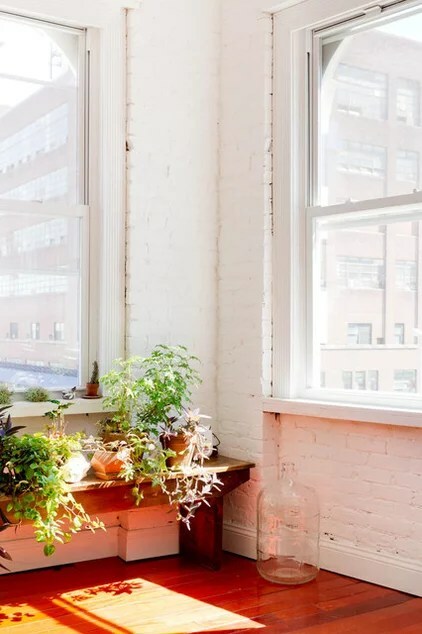 Bringing nature inside makes a space feel more open and brightens the mood. It works especially well in city apartments. 9. Add a dormer. Dormers can provide multiple solutions to multiple problems. 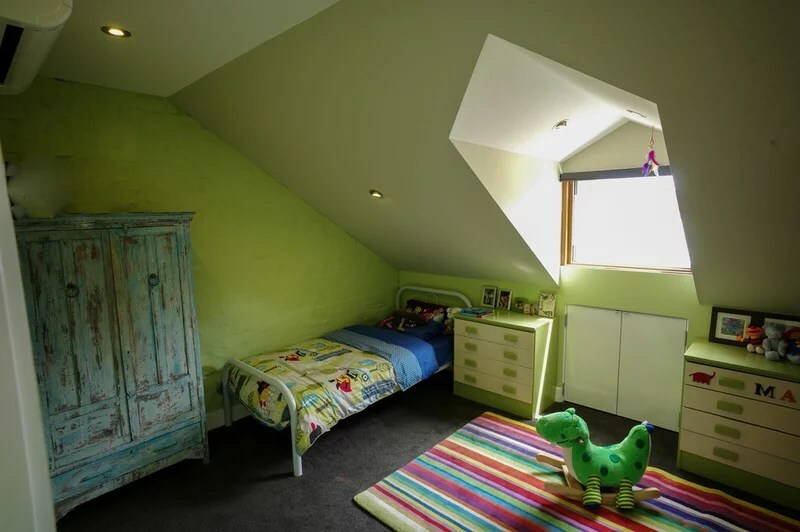 The homeowner of this Australian home used a dormer to bring in more light to an upstairs bedroom and add storage (just beneath the window). 10. Add a half door. 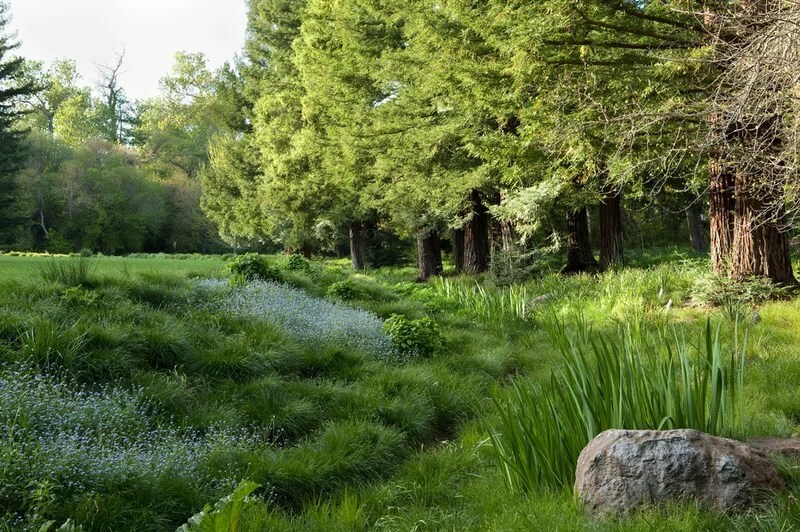 Bringing in a cross breeze of fresh air and creating more connection to the outdoors increases the feeling of space. 11. Add a raised hearth. 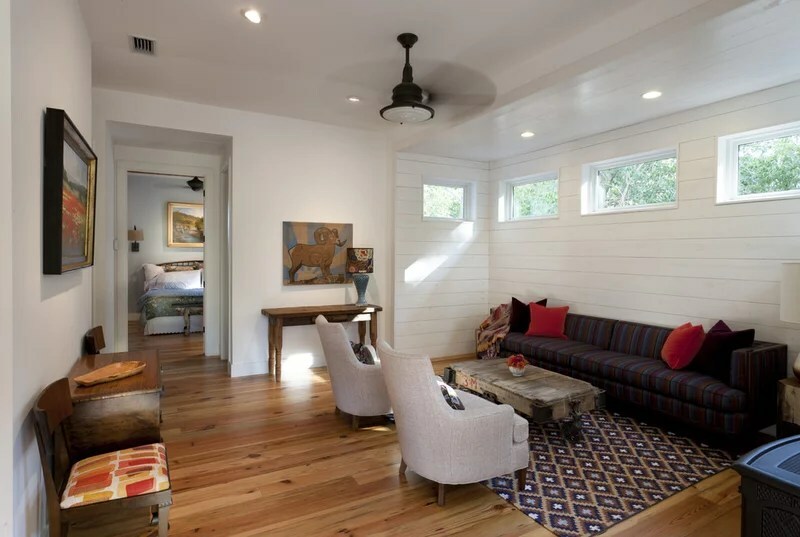 In small homes having plenty of seating for guests is a constant battle. 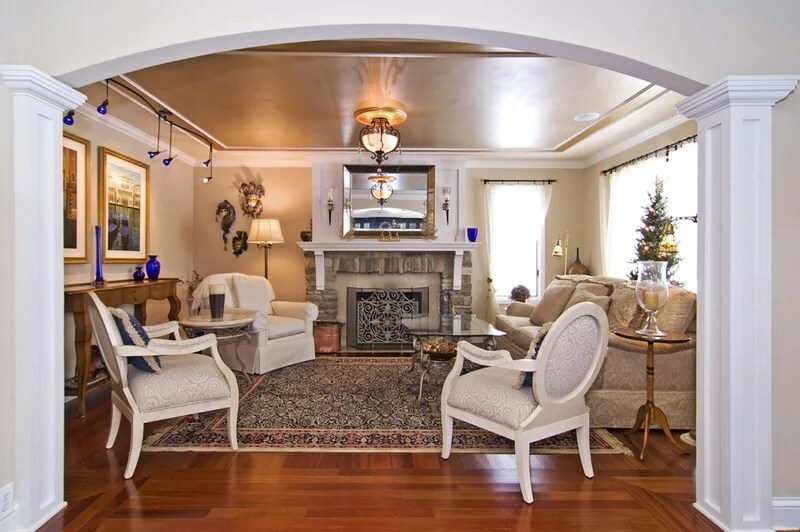 One suggestion is to add a raised hearth around the fireplace. Add a few cushions on top and voilà! You’ve got a few of the coziest seats in the house. 12. Add a kitchen peninsula. Be honest: How often do you use that formal dining room? Introducing a kitchen peninsula gives you a one-two punch of more counter space and extra seating for informal family meals. Then you can think about using that dining room more wisely. 13. Add a sectional. It can offer more seating options than a sofa and chair combination. 14. 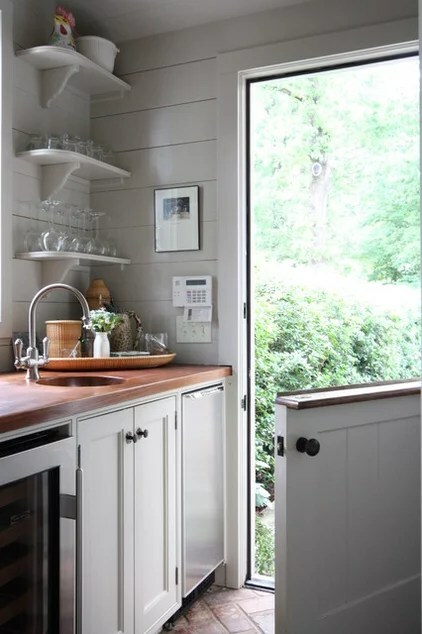 Put a counter-height table in the kitchen. This works great for galley kitchens. It creates more workspace, and with a few stools can easily accommodate a small dinner party. 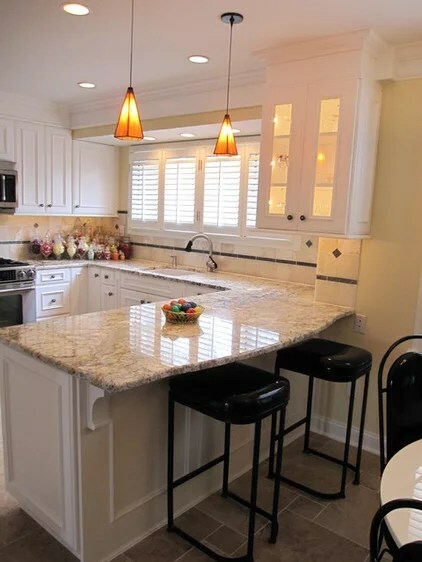 Tip: Keep the stools’ backs below counter height so they can slide easily out of the way. 15. Add a deck or patio. 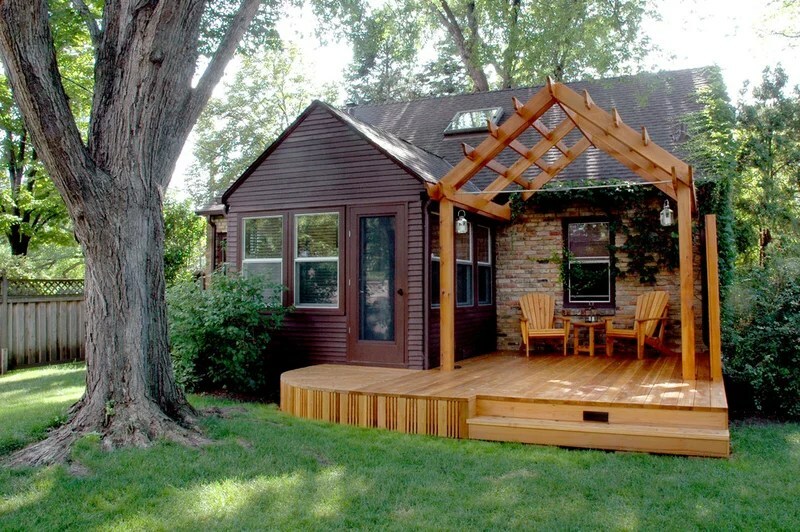 If you can’t seem to find even an inch more to squeeze out of your interior, try expanding your living space outside. 16. Add right-scale furniture. 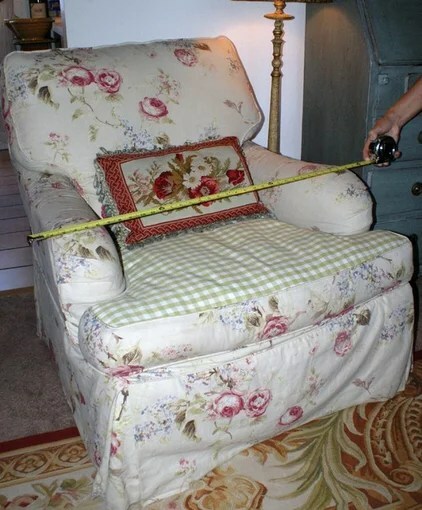 Before you bring any piece of furniture into your small home, always measure it and make sure it’s the right scale. 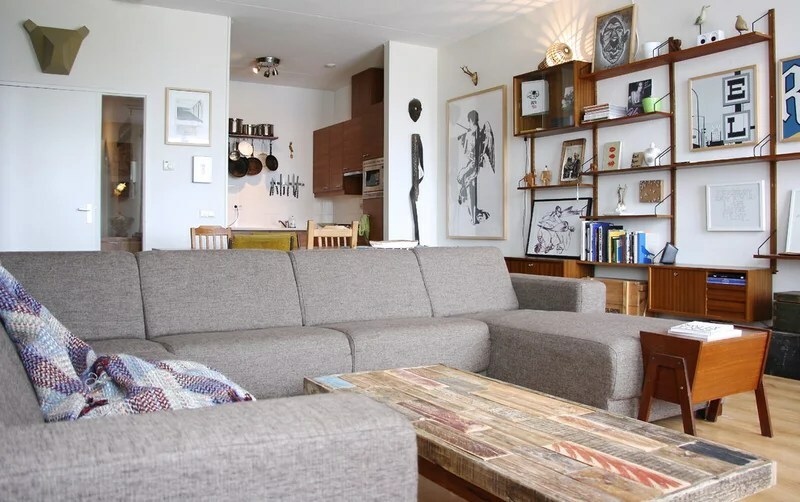 Crowding a living room with oversize furniture is not the best use of space. 17. Use lighter paint colors. 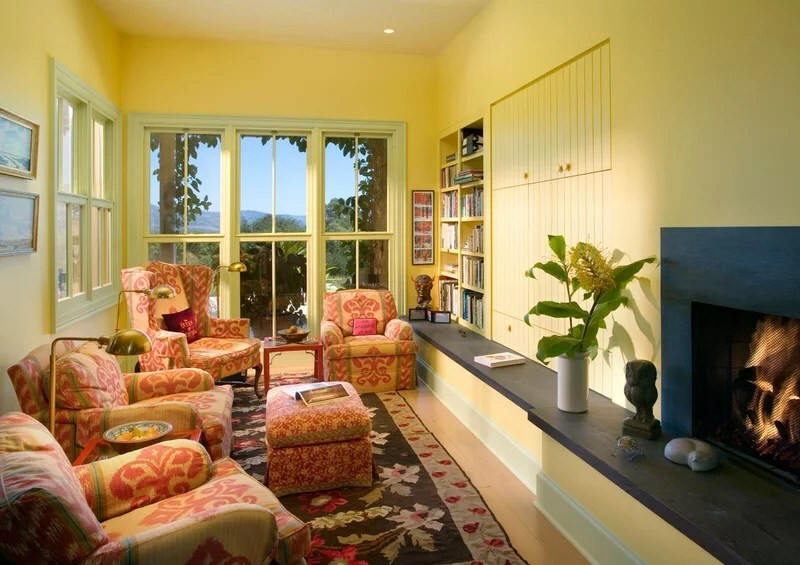 Again, light is your best friend, and incorporating light-hued colors will open your house up and reflect light better. 18. Go outside. Take advantage of public parks, walking trails, libraries, coffee shops and other community spaces, and you won’t feel so boxed in. 19. Include a loft. Look up. See all that precious space you could use? 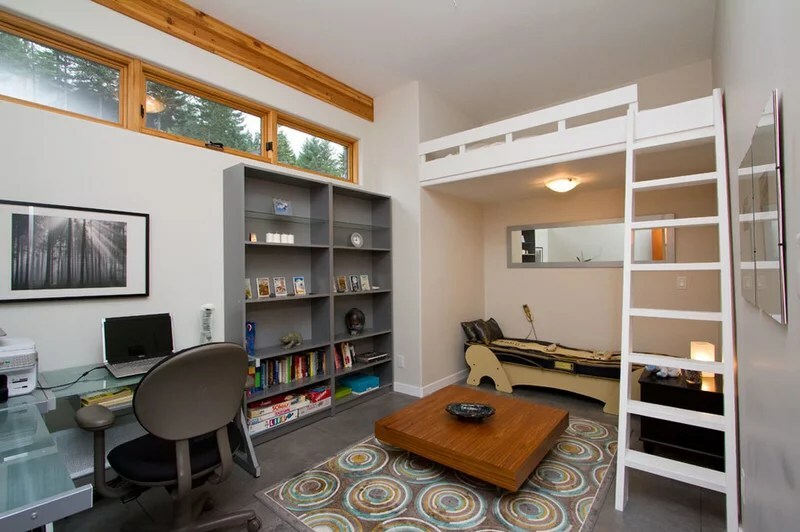 A loft bed could free up tons of floor space for a desk, a sitting area, storage or even another bed. 20. 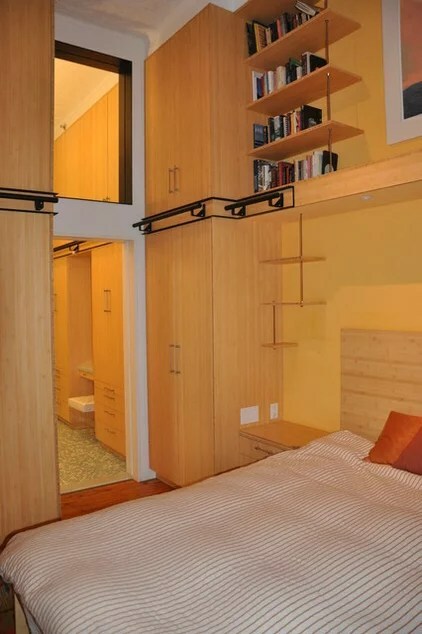 Add storage all the way to the ceiling. In small spaces vertical storage is vital not only for keeping all your things out of the way, but for sending the eye upward to make the room appear larger. 21. Add nesting tables. 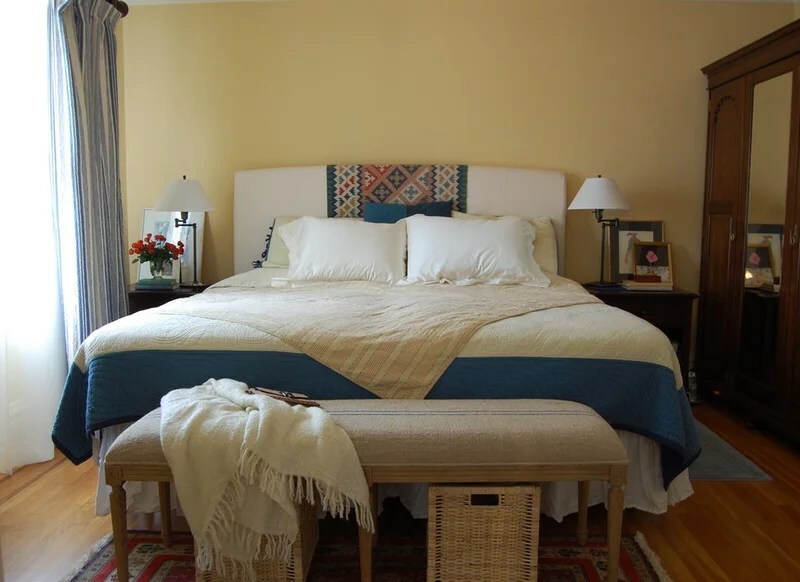 The trick with small homes is finding ways to add furniture pieces that do double duty, or that can be moved out of the way and hidden quickly and easily. Three-in-one nesting side tables are a great option. 22. Install garage shelves. 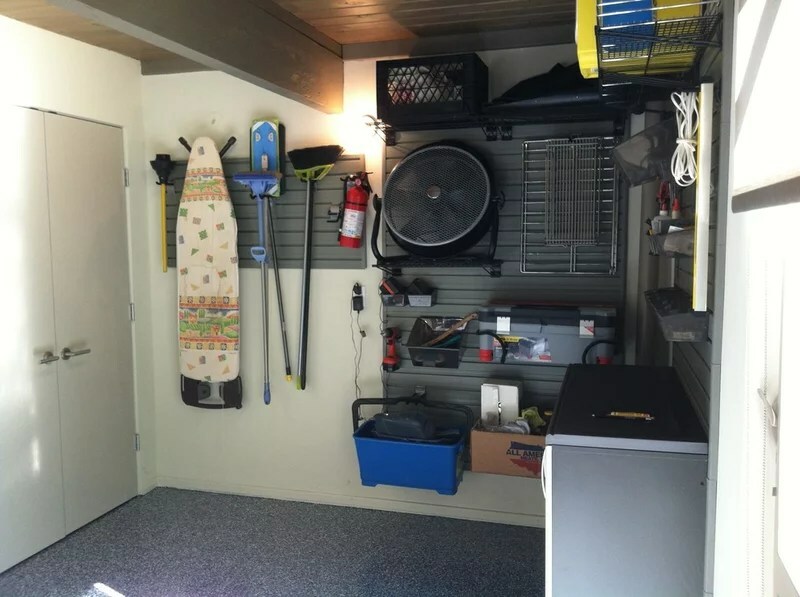 The garage is one area where you can go crazy with shelving and storage. It will get clutter out of your house and confine the visual mess to a space that’s expected to be aesthetically unappealing. 23. Add storage ottomans. When space is a luxury, every nook and cranny counts. 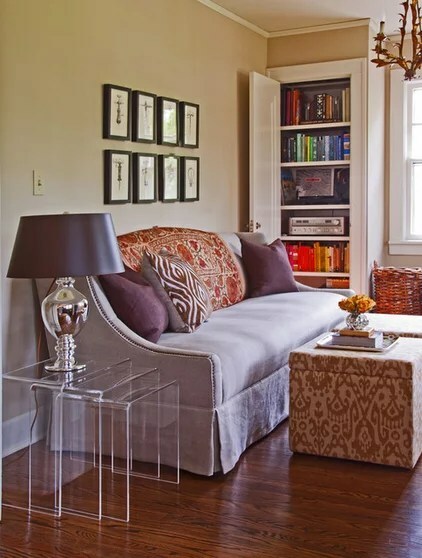 Storage ottomans are great for quickly getting toys, magazines and electronics out of view. 24. Add a floating bench seat. 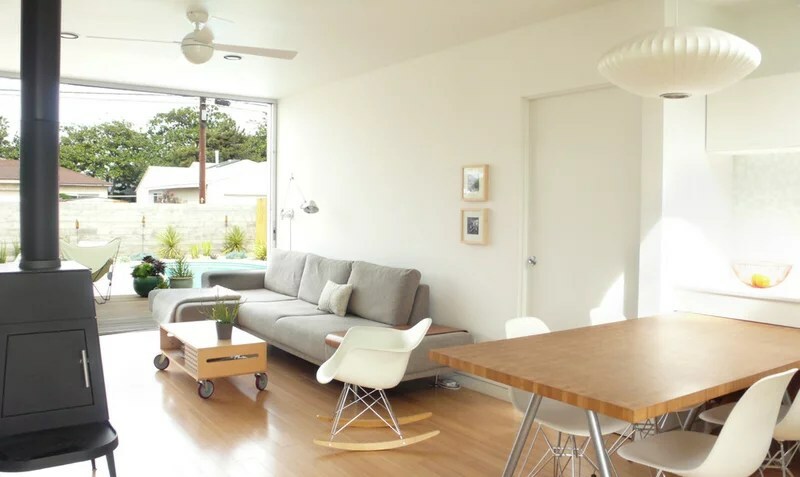 Taking advantage of floor space is key in a small house. 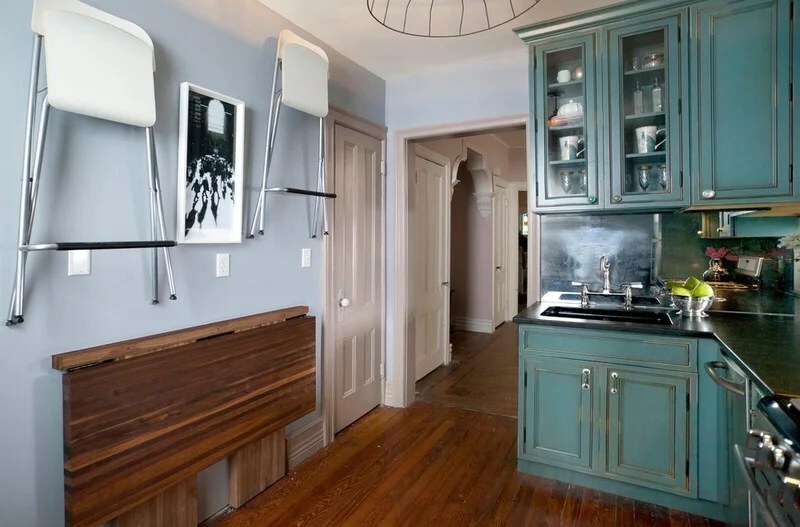 This homeowner used a floating bench seat in her kitchen to make room for her dogs’ beds. 25. Take down a wall. 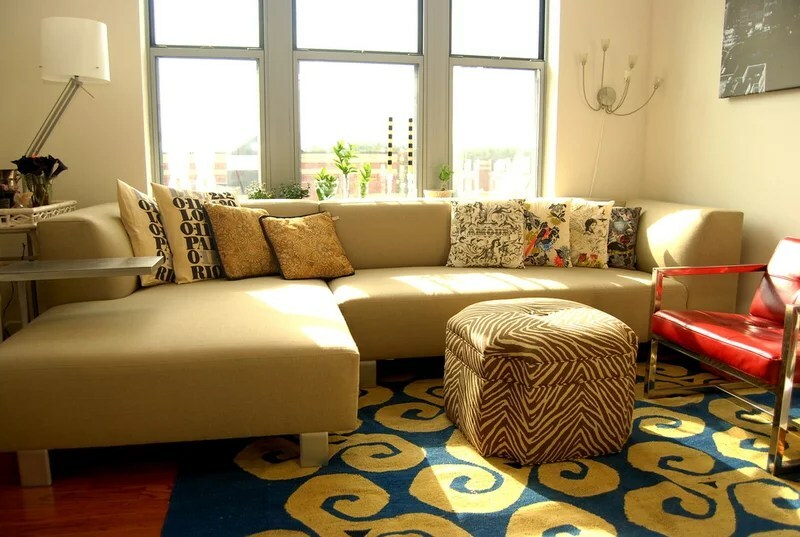 Opening up your living space will help it flow better and feel more spacious. It will also get you thinking about how rooms can do double duty.